Cottman Transmission and Total Auto Care, the transmission and auto repair brand that services almost any make or model vehicle, foreign or domestic, recently recognized several outstanding franchisees and employees at its annual convention in Myrtle Beach, SC. “These dedicated people represent the best of the best,” said Cottman President Randy Wright, recognizing franchisees, managers, and technicians from New Jersey, Pennsylvania, Louisiana, North Carolina, Kentucky, Colorado, Oregon, Wisconsin, Michigan, Texas, Virginia, Illinois, Florida, and South Carolina. The Cottman Man Award, given to the franchise with the highest gross sales for the previous year, went for the second consecutive year to brothers and partners Randy and Rusty Cato, who operate the Cottman center on Erhardt Blvd. in New Orleans, as well as centers in Gretna, LA and La Place, LA. The Founders Award, named for the Cottman founders, was presented to Rick White, Cottman of Raleigh, NC. The award is given to an individual who has overcome adversity. Rick has been a Cottman man since 1997, when he opened his first center in Durham, NC. He took over his current shop in Raleigh in 2000 and has built the business steadily to one of the top ten centers within the network. 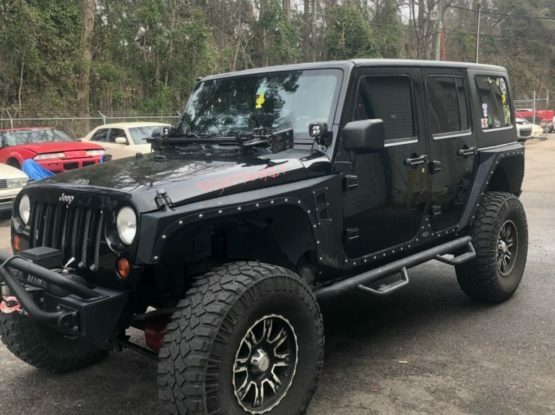 A large percentage of his business comes from repeat customers and referrals, which he prides himself on consistently giving the best service to his customers. Jim Dietvorst, Cottman of Denver and Cottman of Wheat Ridge, was named Person of the Year. He opened his first Cottman center in Denver 12 years ago and 6 years later added a second in nearby Wheat Ridge, CO. In addition to consistently being among the chain’s best performers, the proud Navy veteran works hard to give back to the community. Jim and his workers participate in “extreme community makeovers” where volunteers go into a neighborhood and help with exterior clean-ups and painting, and they also support a local women’s shelter, a youth anti-gang program, and the local food bank. 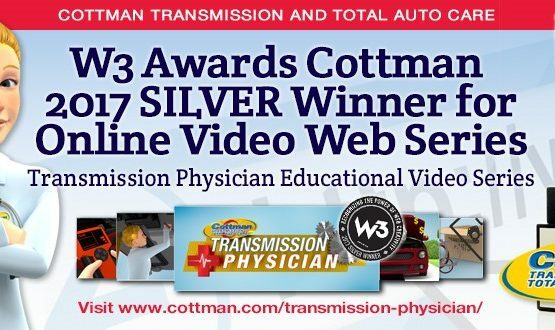 Mike Morrison, Cottman of Spartanburg, SC, was named The Transmission Physician. The winner of this award is Cottman’s representative to the world “I AM COTTMAN!” Successful in their own center, always there to help their fellow Cottman owners, and have an outstanding relationship with their own customers. Greg Hulce in Cottman of Louisville was named Manager of the Year, one of the chain’s highest honors. Hulce exemplifies the highest standards in professionalism, dedication, and sales. The Top National Account Development award is being given to 2 outstanding franchisees, Jim Harrington in Cottman of Mauldin, SC, and Bob and Cindy Cowie in Cottman of Norfolk, VA. 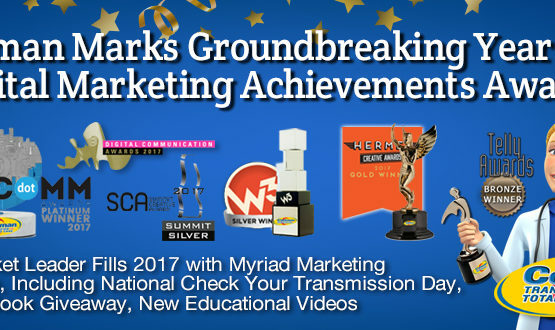 This honor is awarded for being proactive owners that work hard to acquire these types of accounts, and for striving to make national account customers satisfied and keep them coming back on a regular basis. The Top Business to Business Customer Development award was given to 3 Cottman franchises that have shown a strong commitment and ability to develop and nurture these types of accounts. In the past year, they have added new business while maintaining existing accounts. The franchisees given this award are Jim Dietvorst in Cottman of Denver/Wheat Ridge, CO, Rick White in Cottman of Raleigh, NC, and Don Lenartz in Cottman of Grand Rapids, MI. The Technical Proficiency Award is given to those technicians who have shown an exceptional technical knowledge of the automotive industry. This year it was awarded to David Earp, Cottman of Trenton, NJ, and Ted Reinert, Cottman of Woodbury Heights, NJ. Fourteen Cottman centers were honored for providing a consistently outstanding level of customer service. They are Cottman of Denver and Cottman of Wheat Ridge in Colorado; Cottman of Trenton in New Jersey; Cottman of West Mifflin in Pennsylvania; Cottman of Stroudsburg in Pennsylvania; Cottman of Beaverton in Oregon; Cottman of Racine in Wisconsin; Cottman of Grand Rapids in Michigan; Cottman of The Woodlands in Texas; Cottman of Richmond in Virginia; Cottman of Gladstone in Missouri; Cottman of Mundelein in Illinois; Cottman of Fern Park in Florida and Cottman of Vancouver in Washington.